Known as Mayirri, Damien Tunmuck a Mati-ke man from Yederr, speaks over 6 different languages and is well-known and respected for his cultural knowledge and multilingual skills in the Wadeye community. “Wadeye, in Diminin country, used to be a mission so there are many languages spoken here. The main language now is Murrinhpatha,” Mayirri said. “English is not our first language, so language and cultural barriers mean many people often have difficulty understanding and accessing crucial government services. Department of Human Services Manager Hank Jongen said specialist staff like Damien, who speak languages other than English are instrumental in ensuring government support and services reach all Australians regardless of their background. “Harmony Day (21 March) is an ideal time to recognise and celebrate Australia’s cultural and linguistic diversity,” Mr Jongen said. “Around 1 in 5 Australians speak a language other than English at home with over 400 languages spoken in Australia. “The department has an extensive range of services for people from culturally and linguistically diverse backgrounds. “There are more than 700 bilingual service officers who provide direct language support to customers in their preferred language, over 40 of these communicate with customers in an Indigenous language. “We also offer free interpreting services in over 200 languages, including Indigenous languages such as Pitjantjatjara, through more than 3000 accredited interpreters. “Strong partnerships with the Northern Territory Aboriginal Interpreter Service and the Kimberley Interpreting Service ensure multilingual Indigenous customers have access to an interpreter. Many interpreters are based in service centres and accompany the staff when they visit remote communities. Mayirri is passionate about sharing his languages and culture. He has translated children’s books and works with linguists to help preserve languages which are no longer widely spoken. “I’m proud I can use my language and cross-cultural skills to help explain government ways, and make it easier for my people to access Centrelink services,” Mayirri said. 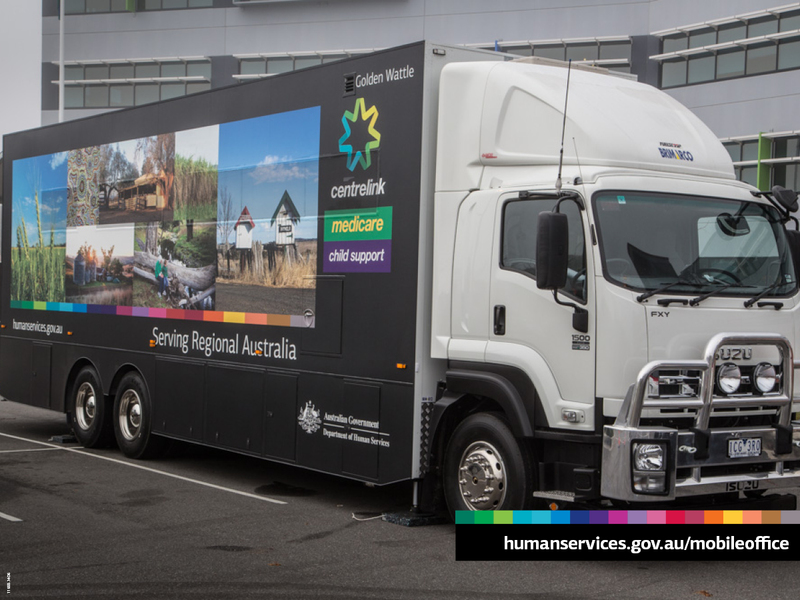 To find out more about available resources and support services in your language visit humanservices.gov.au/multicultural.